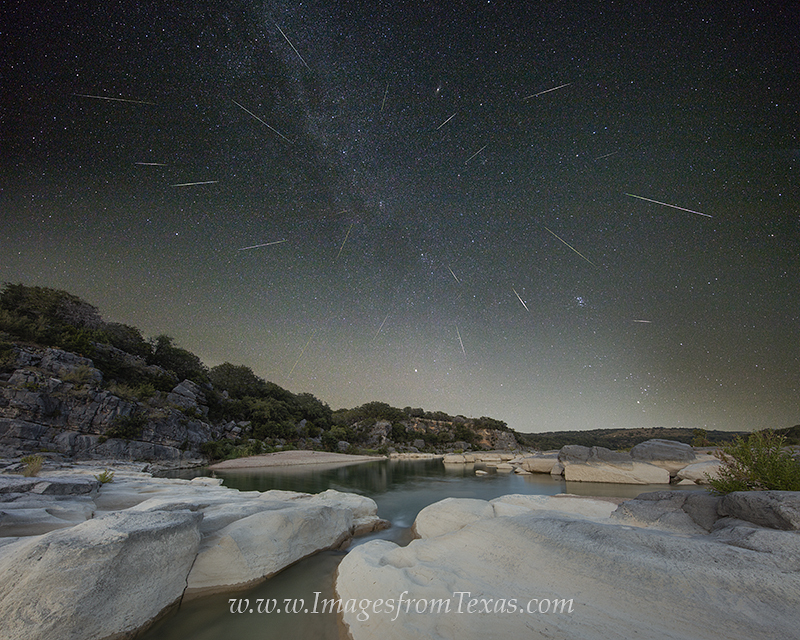 Starting at about 2:00am, I let the camera roll, taking 3 hours of time-lapse images of the Perseid meteor shower over Pedernales Falls in the Texas Hill Country. This final photograph is a compilation of the brightest meteors from this amazing scene. The sky photographs were taken using an astro-tracker, then stacked together using photoshop. The foreground was taken just as first light was beginning to show across the landscape - again a long exposure - and blended into the final scene. Photo © copyright by Rob Greebon.